Click the PayPal buttons below for the items you would like to add to your cart. You can return back to shopping with each addition. When checking out, you can pay with either your PayPal account or as a Guest User. Cash and credit cards are accepted onsite for all items listed. Upon arrival see Information Board under the blue social canopy area for details, or see the camp host. Items will be shipped to the address listed on the purchase invoice via the cart. You will have the option to select your billing address as the shipping address, or add an entirely different shipping address. Your correct address is your responsibility. Screen Print – Unisex, for color and size availability see below. Next Level Tri-Blend Crew, ultra soft short sleeve shirt. Print is on the back of the shirt, with a blank front. 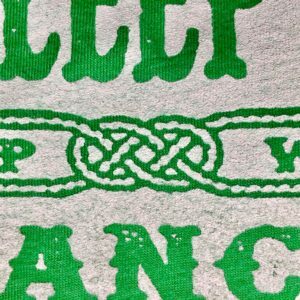 Vinyl Print – Next Level Tri-Blend Crew, ultra soft short sleeve shirt. 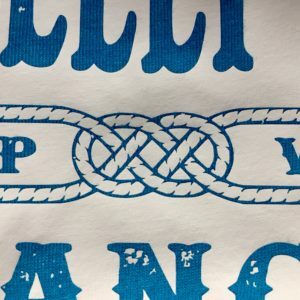 Print is on the back of the shirt, with a blank front. 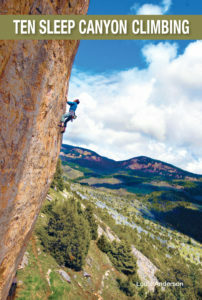 ROCK CLIMBS OF THE EASTERN BIG HORNS – Covers multiple climbing areas just over the pass on the other side of the Big Horns from Ten Sleep. 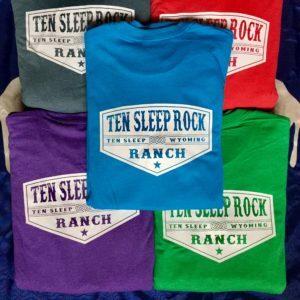 Driving times range from 30-90 minutes from Ten Sleep Rock Ranch. Second Edition by Trevor Bowman. 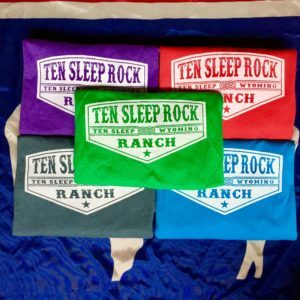 Ten Sleep Canyon Climbing – Complete guide to Ten Sleep Canyon, including hundreds of new and previously unpublished routes. DONATIONS are forwarded directly to the nonprofit. 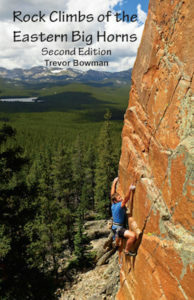 BIGHORN CLIMBERS COALITION- Donations are used for trail maintenance, bathrooms, trash disposal, parking lots, and general non-profit management. For more information or to contact BCC please visit their Facebook page or website. $1+ option to add amount in cart. Access Fund is a certified land trust, advocates for climbers at the local and national levels, and maintaining active Memorandums of Understanding with the National Park Service, US Forest Service, and Bureau of Land Management. For more information or to contact the Access Fund please visit their website.